Family is at the very heart of the Amish way of life, and nothing says family like playtime! 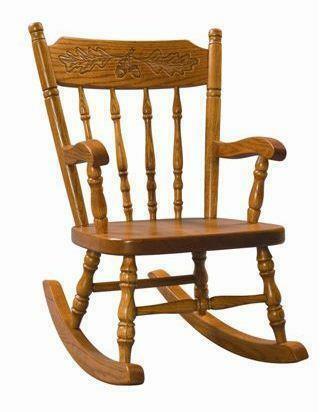 This perfectly kid-sized rocking chair, built and finished by hand by dedicated craftsmen right here in the USA, makes a strong, sturdy, and beautiful addition to any family home. Whether in the playroom, the living room, or the reading nook, the Acornback Kids' Rocking Chair offers its lucky owners a place to build treasured memories sure to keep them company throughout the years. The quality of the kids' furniture crafted by our Amish woodworkers is second to none. Rest assured that every piece is lovingly and carefully built from the finest American materials - no veneers, no shortcuts, no questions.